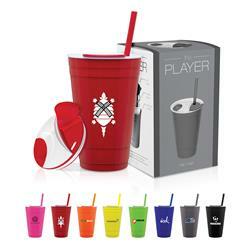 Player is a 16 oz acrylic double wall tumbler with a push on lid and a soft color straw for hot or cold beverages - patent pending. 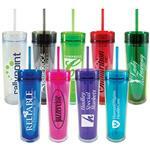 Party with Adco Marketing and your clients with these custom party cups. Great quality and beautiful packaging! 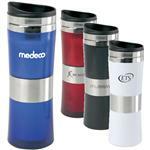 Available Colors: Blue, Neon Orange, Neon Pink, Neon Yellow, Neon Green, Red, Grey and Black. Production Times Available: Standard 5-7 Day Production. 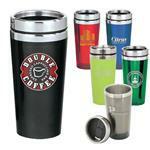 16oz double walled. Soft color straw. Case Weight: 17 pounds at 24 items.